Replacement windows not only add superior value to your home, they also make your home feel more like the kind of place you want to spend your free time. Vinyl replacement windows are some of the most popular windows on the market, and for good reason. Our vinyl replacement windows are made to withstand even the harshest weather conditions. Made with impact-resistant polyvinyl chloride, they are impenetrable when it comes to condensation as well as heat transfer. Vinyl replacement windows are a great choice for homeowners because they do not require paint, they need no finishing and they do not fade. This means your windows will look brand new for as long as they are part of your home. Unlike older windows that might require frequent touch-ups to keep them from fading and looking older, these are designed to look perfect at all times. 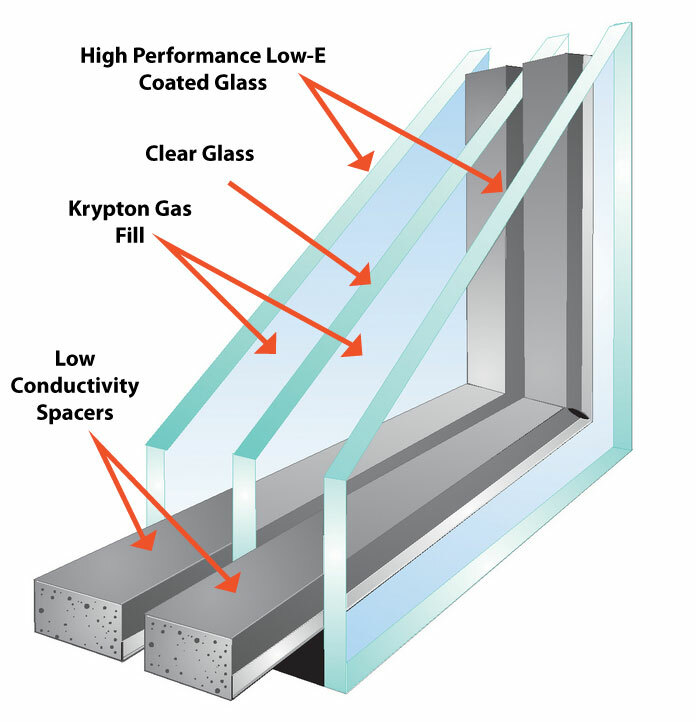 Triple-pane windows from Soft-Lite consist of three panes of glass, two low-emissivity (or Low-E) coatings, krypton gas between the panes, and a choice of our metal PPG Intercept spacer or our structural foam Super Spacer. Soft-Lite’s top-of-the-line triple-pane windows achieve some of the best NFRC ratings in the industry. Vinyl windows might not be your first choice, and that’s understandable. It often requires you learn that vinyl replacement windows are not subpar material. In fact, they might not be traditional in the way that wood windows are, but they offer so many benefits to you and your home that you’ll wonder why you ever hesitated in the first place. Vinyl Replacement Windows are Multi-Glazed – What this means for you is that you do not have to worry about your heat escaping in the winter or your air in the summer as the windows make your HVAC system far more efficient. Saved Energy Costs – If you really want to know why people love these type of windows so much, it’s because the substantial savings associated with their utility and energy costs. Energy savings with vinyl replacement windows are immediate and ongoing. Vinyl Windows are Cost Effective – Many worry that windows with so many benefits are more expensive, but they are actually the most cost-effective windows to purchase. The price is lower up front and in the long run when you take the time to factor in ongoing energy savings. Vinyl Windows are Low Maintenance – If you have windows that are not easy to reach, such as those in dormers, you will love these windows. They are scratch free and are fairly resistant to becoming dirty when they are not touched. Vinyl Replacement Window Choices – The best thing about these replacement windows is how many different choices you have when it comes to choosing new windows. Different colors, sizes and styles are available for any home and any preference, making it impossible not to find precisely what you are looking for. 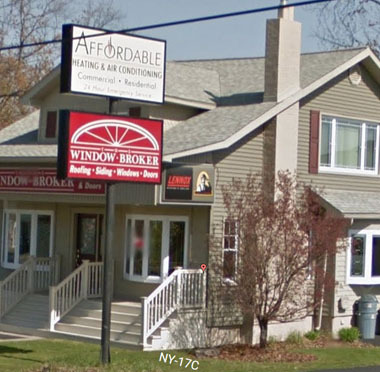 To schedule a free estimate, call The Window Broker today. Our team of window experts is happy to take a look at your home and window needs to offer advice and help you choose the right windows for your home. Call us at (607) 798-9954 or fill out the form on this page to schedule your complimentary estimate today.